The Academy of Motion Pictures Arts and Sciences, that entertainment group that hands out the Oscars each year, is — year-by-year — digging both an ethical and creative hole that will some day be so deep that the brand (the Academy Awards) that they nurtured over years will soon be meaningless. The current group of actors, directors, producers and artisans have devolved into a collection of self-centered narcissists who hold little regard for an ever-tightening circle of theatre-goers (people that buy tickets and pay the bills). They have managed to produce a telecast — that fewer and fewer are watching — which hands out awards (of merit) to the underserving. Such is the case with this year’s Best Picture winner, which should have been Warner Bros. release of filmmaker Clint Eastwood’s American Sniper. They managed to turn a film that out-grossed all of the other seven Best Picture contenders combined — you read that right, COMBINED ($346.4 million versus $318.5 million) — into a political issue and in the process selected the one film that best reflected their own pathetic insecurities, Birdman. This isn’t the first time that the Oscar has gone to the wrong film. Let’s see, can anyone argue that Saving Private Ryan has stood the test of time over the frothy, lightweight selection of Shakespeare in Love? Chariots of Fire was a nice film, but Raiders of the Lost Ark has held up far better … and even though Annie Hall was one of Woody Allen’s best film efforts, the Oscar for Best Picture should have gone to Star Wars. There are more — The Greatest Show on Earth (really). Yes, you can argue that popularity shouldn’t be the deciding factor. And that is true … there are plenty of films each year that gross hundreds of millions of dollars that aren’t worthy of anything (a Razzie, maybe), but when a film connects (emotionally) with an audience, the “Hollywood elites” should be wary of rejecting such films for political, ethical (yes, questionable “block voting” practices) and snob-related reasons. Some years it’s a dartboard guess (The Artist?) with no standouts. Other years you can live with at least two films being selected Best Picture (Titanic and L.A. Confidential in the same year, that’s a tough choice … ditto for Forrest Gump, Pulp Fiction and The Shawshank Redemption all in the same year). But this last year the members of the Academy of Motion of Pictures Arts and Sciences thumbed their collective noses at the patrons that put the food on their tables … and they will regret that as time passes. 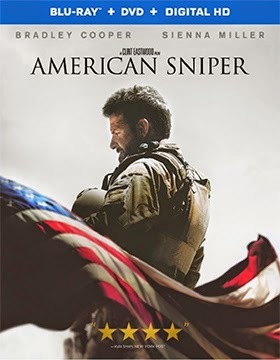 Warner Bros. Home Entertainment announced this past week that the “Best Picture” of 2014, director Clint Eastwood’s American Sniper, will be released as both DVD and Blu-ray/DVD Combo Pack offerings (both SKUs feature UltraViolet) on May 19 (positioned in time for Memorial Day). This is a film, lead by the performance of Bradley Cooper as Navy SEAL and elite sniper Chris Kyle, brought an emotional response from its theatrical audiences over and over again. Tears, respect, stunned silence and spontaneous applause were all common … can you say the same for Birdman? The ARR is 144 days and domestic ticket sales stand at $346.4 million. In other release news from Warner Bros. Home Entertainment this week, June 2 will be the street date for two additional recent theatrical hits. 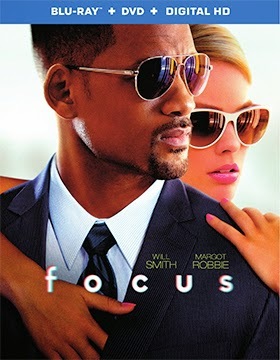 First in line is the directing team of Glenn Ficarra and John Requa’s con/caper thriller, Focus, teaming Will Smith with Margot Robbie (The Wolf of Wall Street). DVD and Blu-ray/DVD Combo Pack (with UltraViolet) editions will be available. The ARR is 95 days and box office receipts totaled $52.8 million. 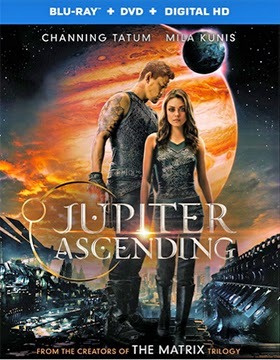 Teamed with Focus on June 2 is directing/writing team of Andy and Lana Wachowski’s (aka: The Waschowskis) sci-fi flick, Jupiter Ascending. There are three SKUs planned for home entertainment. There will be a stand-alone DVD, a Blu-ray/DVD Combo Pack and a Blu-ray/DVD Combo Pack with both 3D and 2D viewing options (the Combo Pack SKUs feature UltraViolet). Loaded with CGI, and starring Channing Tatum and Mila Kunis, the Brothers Waschowski have not quite returned to their Matrix days of filmmaking — Jupiter Ascending needed to be a much bigger film (think: Dune) or simplified somehow … the middle ground left audience wanting more (or confused). The ARR is 116 days and domestic ticket sales were $46.7 million. A pair of featurettes are common to all three editions — “Jupiter Jones: Destiny Is Within Us” and “Jupiter Ascending: Genetically Spliced” — while the Blu-ray SKUs sport four additional production featurettes. 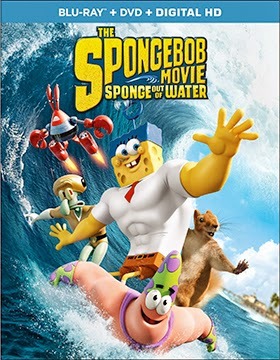 Paramount Home Media Distribution has the animated thrills of SpongeBob SquarePants’ latest theatrical adventure, director Paul Tibbitt’s The Spongebob Movie: Sponge Out of Water, ready for fans to enjoy again and again … and again on June 2. Planned for release are three separate SKUs — a stand-alone DVD editions, a Blu-ray/DVD Combo Pack and a Blu-ray/DVD Combo with both 3D and 2D viewing options. The ARR of 116 days and ticket sales at the local multiplex were a stunning $160.2 million. That’s a lot of clams! 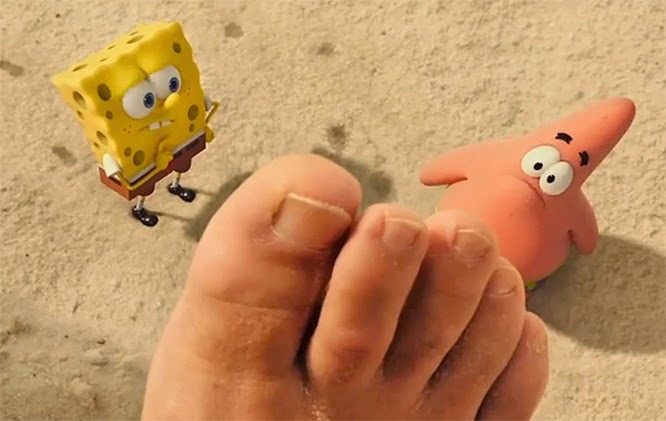 Ten years ago we saw the first SpongeBob movie — it grossed $85.4 million — this time around the box office take nearly doubled. Anyone want to bet that it won’t be ten years before another animated adventure surfaces? This is a film franchise — with an incredibly popular character — that just begs for more and with these kind of numbers it will certainly happen sooner rather than later (maybe 2018). As to bonus goodies, the Blu-ray SKUs come loaded with all sorts of nuggets, including deleted and extended scenes, the N.E.R.D.’s music video, “Squeeze Me” and several multi-part production featurettes. 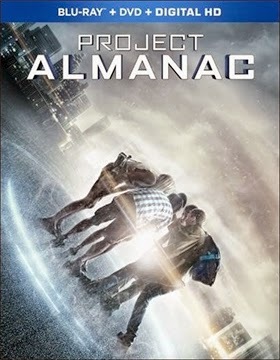 Also added to the release calendar this week by Paramount Home Media Distribution is the June 9 DVD and Blu-ray/DVD Combo Pack (with UltraViolet) debut of director Dean Israelite’s sci-fi thriller, Project Almanac. The ARR is 130 days and the box office currently stands at $22.3 million. Like the Butterfly Effect and even the Back to the Future films, Project Almanac is a cautionary tale about the unintended “ripple” effects of jumping back and forth in time. Each move creates a problem and the attempt to “fix” the problem only compounds the time-traveling conundrum until the point where tidal waves of change are rapidly spinning out of control. Jonny Weston (Chasing Mavericks) and Sofia Black-D'Elia lead the largely “teen” cast in this cleverly written sci-fi piece. Bonus features (exclusive to the Blu-ray) include an alternate opening, alternate endings (plural) and a package of deleted scenes. The ARR comes in at 151 days and the domestic box office take currently stands at $228,984. World War II has come to end, but civil war in China rages on. 50 years ago the Chinese government used to churn out dreadfully-produced propaganda films that showed the noble Red Army battling the forces of Chiang Kai-shek’s KMT (backed, naturally by the Americans) for the soul of China. Those days are gone. If a frontline filmmaker, such as Tsui Hark (A Better Tomorrow, Once Upon a Time in China, Young Detective Dee: Rise of the Sea Dragon, etc. ), wants to do a period piece (in this case circa 1946) about the civil war that raged in the north of China during that period, the result is not some cheesy rah-rah flick, but a first class film presentation. The look and feel of what is on the screen puts you squarely in this tumultuous period in Chinese history … the warlords and bandits filling the vacuum left by the collapse of the Japanese occupation forces and the rise of the People’s Liberation Army (united with Chiang Kai-shek during the war, but now out to claim the country for themselves). The sinister Master Hawk (Tony Leung Ka Fai — Beijing Love Story, Lost in Beijing, etc.) is the cunning leader of a gang of bandits, but unbeknownst to him his crew of cutthroats has been infiltrated by the noble Yang Zirong (played by Zhang Hanyu — The Chef, The Actor, The Scoundrel, Back to 1942, etc. 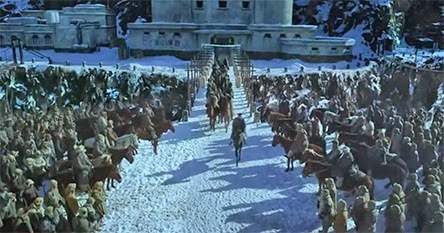 ), whose job is to ferret-out Hawk’s strengths and defenses so that his out-numbered band of brothers can overcome them in the forthcoming battle. 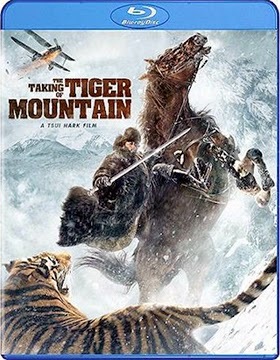 Beautifully mounted, loaded with action and presented in Mandarin, with English subtitles, once again Well Go U.S.A. has another hit on their hands with Tsui Hark’s The Taking of Tiger Mountain. 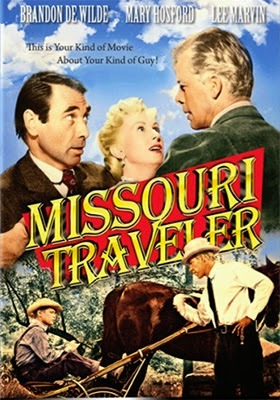 VCI Entertainment has restored director Jerry Hopper’s 1958 film adaptation of the John Burress (aka: John Burr) novel, The Missouri Traveler, and will be releasing it to the DVD market place this coming May 26. Filmed in glorious Technicolor, and following in the theatrical success of East of Eden, this similar period piece (Americana circa 1910) served to showcase the rising talents of the young Brandon DeWilde (a successor to the ill-fated James Dean???) as a troubled teen who is befriended by Missouri small town rivals Doyle Magee (Gary Merrill), the local newspaper reporter, and Tobias Brown (Lee Marvin), a wealthy land baron. While Brandon DeWilde would, ironically, meet the same fate as James Dean in 1972, The Missouri Traveler is noted, not for his performance (although he would shine the following year opposite Carol Lynley in Blue Denim), but that of Lee Marvin. 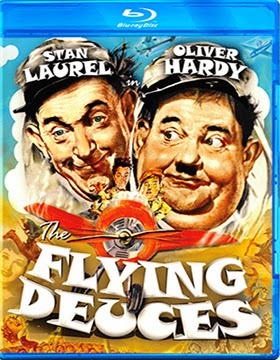 In other release news from VCI Entertainment this week the legendary comedy team of Laurel and Hardy will get the hi-def treatment on May 19 with the Blu-ray debut of director A. Edward Sutherland’s 1939 comedy, The Flying Deuces. Bonus features for this restored comedy classic include two silent short films — The Paper Hanger’s Helper (1925) and Lucky Dog (1921) — plus the remastered episode (from the original 35mm film elements) of the 1954 Ralph Edwards-hosted telecast of This Is Your Life: Laurel and Hardy. 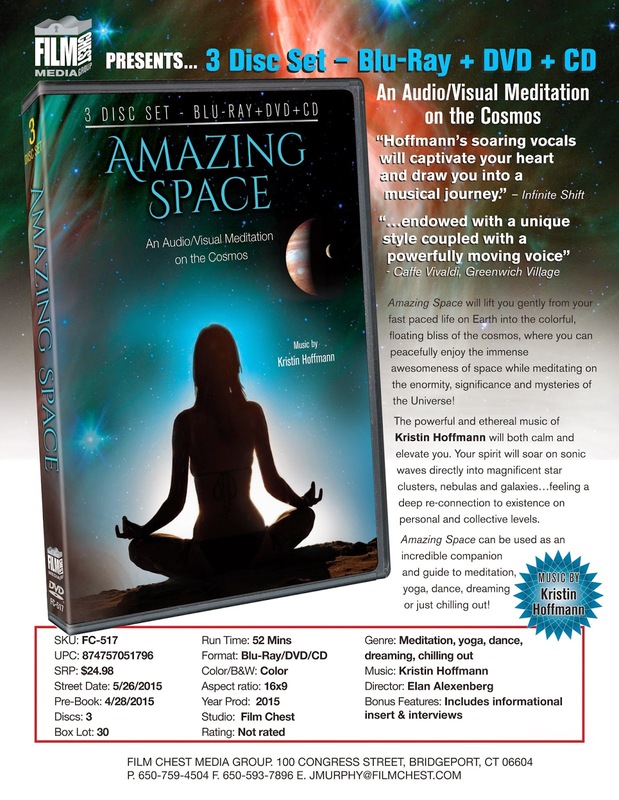 The Film Chest announced this past week that the creative collaboration between NASA, composer Kristin Hoffmann, producer Ralph E. Stevens and filmmaker Elan Alexenberg will manifest itself on May 26 with the Blu-ray/DVD Combo Pack debut of Amazing Space. 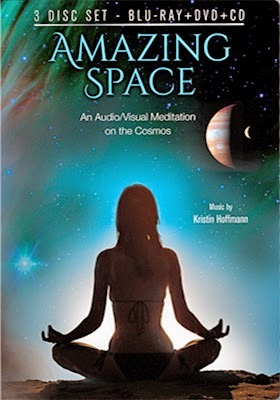 Celebrating 25 years of the famed Hubble Telescope — and its astounding deep-space imagery — this state-of-the-art production combines the visuals of the universe around us with the magical music of Kristin Hoffmann. Bonus features include a CD of Kristin Hoffmann music. 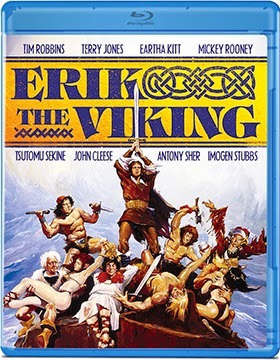 Olive Films gets Pythonesque on May 26 with DVD and Blu-ray editions of Monty Python alumni Terry Jones’ 1989 adventure/comedy, Erik the Viking, starring fellow Python John Cleese, Tim Robbins (as Erik) and the late Mickey Rooney (as Erik’s wise grandfather). 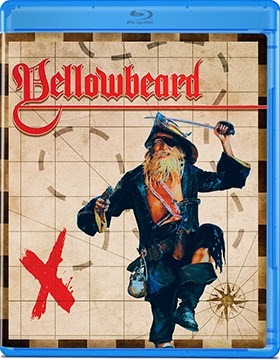 Also on the Pythonesque comedy front on May 26 are both DVD and Blu-ray SKUs of director Mel Damski’s all-star pirate comedy Yellowbeard. Leading the cast is, yes another Monty Python troop member, Graham Chapman, as the title character, who is joined by both Eric Idle and John Cleese, plus such comedy stalwarts Cheech and Chong, Peter Cook and Young Frankenstein cast members Peter Boyle, Madeline Kahn, Marty Feldman and Kenneth Mars. A delicious romp! It’s Animal House on the slopes as May 26 see bothSki School, heading to retail. In this world of booze, parties, bikinis and snow there is no frostbite, only beautiful women (with little to wear) and Dave Marshak (Dean Cameron), the ultimate party slacker, who challenges the elites of the ski slope to a winner-take-all competition. Also on the May 26 release calendar is the DVD debut of writer/director Martin Faltermeier’s 2012 throwback sci-fi thriller, Zombies From Outer Space. Eagle Rock Entertainment has selected May 26 for documentary filmmaker Sam Jones’ Lost Songs: The Basement Tapes Continued … Blu-ray and DVD editions will be available. Imagine finding a trunk full of lost Rembrandt or Picasso paintings, that’s pretty much what happened with a treasure-trove of Bob Dylan lyrics from 1967 (16 unfinished tunes from his legendary “Basement Tapes” sessions) that were distributed to such recording artists as Elvis Costello, Marcus Mumford and others to interpret. 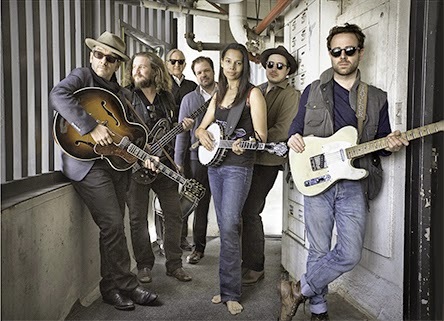 The result was the release of the “Lost on the River: The New Basement Tapes” CD last November. This documentary chronicles the creative process that went into Grammy-winning producer T Bone Burnett’s selection of artists to “rediscover” Dylan’s lost works and the finished product of their efforts. 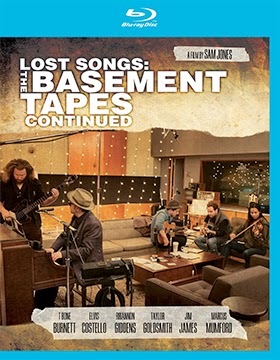 Lost Songs: The Basement Tapes Continued is nothing short of extraordinary … 106 minutes of pure joy!!! 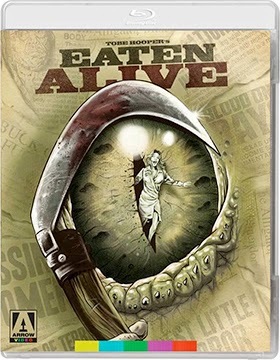 Arrow Films, with sales and distribution expertise provided by the MVD Entertainment Group, announced this past week that a brand new 2K film transfer (from the original camera negative) of director Tobe Hooper’s 1977 backwoods blood fest, Eaten Alive, will be released as a Blu-ray/DVD Combo Pack on July 28. Bonus features include commentary from actors Roberta Collins, Kyle Richards and William Finley, who are joined by producer/writer Mardi Rustam and makeup artist Craig Reardon, plus newly prepared intro and video session with Tobe Hooper and three featurettes … and more!